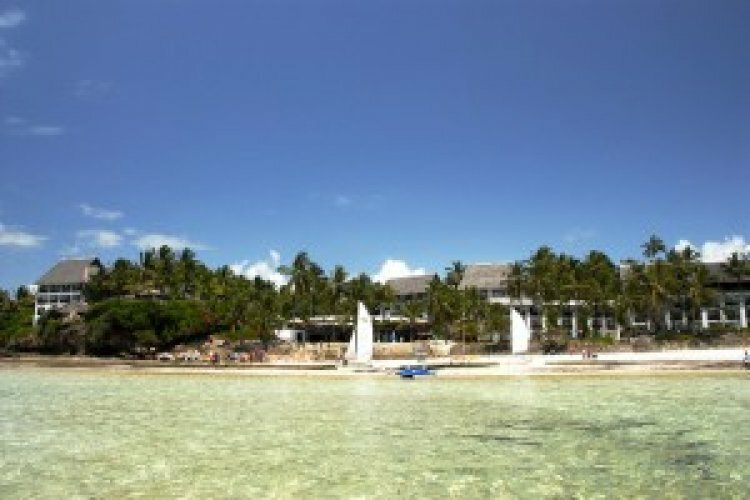 Voyager Beach Resort, Kenya is one of our most popular hotels. A couple of reasons for this include the fact that it has a great location by the beach and is a great base to explore the local area. At the Voyager Beach Resort you will find gorgeous cabins in a variety of sizes. This means it is perfect for either couples of families. They are well decorated with all modern amenities. At this great Kenyan hotel you will find a great choice of bars and restaurants, with most included in the all-inclusive option. To burn off those calories you can also enjoy water sports and activities at the resort and nearby. You will find that children are well catered for as they have a separate pool and kids club. "lovely, sunny, not the rainy season"
"Cool in the mornings and evenings... Hot inbetween"
"The weather was just right really, we didn't have any rain or bad days at all. It was a bit nippy first thing in the morning and after dark. It was hot but not unbareable and once you were under the roofs of the vans whilst on safari it was fine and the breeze was nice." "hot but with a nice breeze the first week then the 2nd week we had 3/4 days bad weather, which was a shame, but was nice again before we left"
"Sunny everyday at least 30 degrees. No a drop of rain for the whole two weeks"
"hot but managable on safari but way too hot when we went to mombassa"
"Warm and sunny but not too hot. It was hotter during our second week at the Baobab Beach resort in Mombasa but we came home with good sun tans." "Rained on last day but otherwise excellent and some breeze off the sea most days." "Sunny! Even in what was supposed to be the rainy season." "Masia Mara - Safari. Warm during the day but cold at night and first thing in the morning." "It was cloudy two days and rained for another, but the rest of the holiday it was hot and sunny"
"Very comfortable even for pale-faced Europeans. It being "winter" in Kenya and Zanzibar meant that the temperature could occasionaly drop below 30. I wish that we could have winters like that in Scotland !" "Good and ideal for the safari"
"Mostly sunny with a bit of rain in the day. It is wintery for them, so early darkness with a lot of wind and some stormy weather in the evenings (even leading to hotel powercuts!)" "A hot summers day here"
"Cloudy and rained but still warm"
"Samburu, Lake Nakuru, Mount Kenya and Massi Mara - clodly but warm and some days very sunny. Mombassa very rainy most days but warm. Not really beach weather in June." "The weather was great - mostly sunny, not too hot, not too cold. Jumpers were sometimes needed on the early game drives to keep the chill off." "ideal for the trip we did - perfect temperature and just a few showers whilst at the beach -"
"very good while on safari, bit of rain in mombasa, but overall good." "better than we thought it would be!" "Winter in Kenya is cool in the evening but very comfortably hot during the day." "The weather was mixed throughout the two weeks. On safari, the weather was very hot on three days but very cold and wet on the other day. The weather at the Cove was also mixed. It was cloudy each morning but on most days, it cleared up. One day it rained heavily for a few hours but was not cold. When the sun was out, it became very hot but not too uncomfortable." "Really sunny and warm for the most part, occasionally a bit overcast towards the afternoons and we had a few days of rain in the second week, but always very warm." "good, not so hot or cold." "2 bad days rest excellent"
"On the whole the weather was good. Many days started with a shower then cleared up to reveal a beautiful temperate day. A couple of days were a bit cloudy and being near the equator daylighted ended at 6.30pm." "Some rain but generally cleared up after an hour or so. Warm but not excessively hot." "Warm and sunny on most days, rain on ly on one day over the whole week"
"Varied greatly from mountains to plains. Mornings were cold but days very warm." "Very good. Sunny but no hotter than a really sunny summers day in UK"
"The weather was hot at our Indian ocean/Coastal resort but could be very cool inland on the safari in the morning and again in the evenings. We also had one evening with a heavy down pour." "Dry and sunny, some cloud, medium winds and temperatures of between 23 and 29C,"
"Warm but not too hot. It did rain nearly every day, sometimes it was showers sometimes a few hours. On the coast it was very windy." "cold on early morning and late afternoon safari drives whilst on Masai Mara"
"Excellent except in Nairobi which was surprisingly cool"
"Lovely warm (approx 30 degrees), sunny days and plesant evenings (approx 20 degrees). No rain for 2 weeks but it was not sticky humid as i was expecting." "Hot and sunny. Not too hot that you couldn't enjoy it"
"Cool in the morning and evenings but wonderfully warm and sunny throughout the days"
"Only one afternoon did we have rain for a couple of hours. The weather was quite cool whilst we were on safari... which we were grateful for as we sat in the van with no air conditioning!" "Perfect. Cool in the morning,warming up during the day and hot in the afternoon." "Beautiful sunny days throughout the 2 week holiday apart from the last day where it rained cats and dogs." "Mixed, warm and sunny in samburu, cold in Mt kenya, wet and warm in lake nakuru and warm and sunny in the mara with some evening rain showers." "Cold in mornings and evenings, warm during the day"
"Weather was amazing the whole trip, we were lucky as for three weeks before they had had lots of rain. We travelled end of sep early oct and only had two rain showers at night, the days were very sunny, only one cloudy day. Tempretures were good, hot but not uncomfortable. And still warm at night too." "Very nice most of the time, went cloudy sometimes in the afternoon but was on the whole was very good"
"Weather was wonderful. There was some rain which just made everything fresher and greener. It was never cold." "fantastic, sunny clear blue skys. nice breeze when driving along the great rift valley." "Very good. Very warm on safari and hot at the beach in Mombasa"
"cool early am and late pm but hot during day.couple of afternoon rain showers"
"Weather in Mombassa was very good warm and sunny during our stay." "First few days were a bit rainy but it was gorgeous the rest if the time"
"Hot and Sunny. Bit cloudy and occasional rain which was welcomed due to the heat." "weather great for 10 day duration"
"It was a little rainy a couple of times on the safari part of the holiday, but it was still nice and warm. It was hot and humid in Diani at the beach resort." "Mostly hot, sunny, beautiful days. There was only a few quick passing light sunshowers on a couple of occasions, of which these caused us no upset at all . And no insect bites what so ever !" "Very hot and humid in Mombasa, in the Masai Mara it was hot during the day and cool in the evenings." "Cool in the morning and evenings, during the day it was around 25 to 28'c so lovely and warm." Had an amazing time even though my sister was taken ill. The hotel staff were excellent as was the Hayes & Jarvis rep.